Haley Skarupa, of Rockville, Maryland, battled her way onto Team USA hockey's roster. Now, she looks to help carry them to the medal stand. Editor’s Note: This is the final story in a four-part series highlighting local athletes who will represent Team USA in the 2018 Winter Olympics in Pyeongchang. Find the previous stories below. Skarupa barely made it on the U.S. women’s Olympic hockey team. Despite being a member of Team USA’s three straight World Championships (2015-17), she lasted just a month into the selection camp in April and was a late re-addition to the roster in November. But Skarupa made the final 23-player roster and will likely play wing on the third or fourth line for the U.S. Women’s team in the 2018 Winter Games. Skarupa, a Rockville, Maryland, native who graduated from Wootton High School, is used to scrapping for ice time. If that nugget about training with boys sounds familiar, it should. Bethesda native Katie Ledecky did the same to build the foundation of her 14 World Championship, five-time Olympic gold medal swimming career. Skarupa has been a part of winning programs at every level. 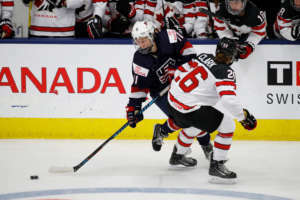 She played collegiate hockey at Boston College where, as a senior, she helped the women’s hockey team to just the second undefeated season in NCAA history. After leaving BC as the second-highest scorer — man or woman — Skarupa was selected ninth overall by the New York Riveters in the 2015 NWHL Draft. After a stint with the Connecticut Whale, Skarupa’s NWHL career brought her back to Beantown, where she plays for the Boston Pride. It’s a fitting landing spot for the 24-year-old Skarupa, not just because of the names of her high school and college teams but because it’s a good description of how she feels about heading to her first Winter Games. USA and Canada are the front-runners for the gold medal, which would be the latest chapter in their revered rivalry. Canada won all four meetings between the two teams in December, but that came after the U.S. took three of the previous four meetings. The U.S. women’s hockey team hasn’t won gold in the Winter Games since its inaugural year in 1998. Skarupa likes this team’s chances to end the 20-year drought. Skarupa will have plenty of help in her quest for gold. She has multiple teammates from her Boston College days and she said it’s a very tight-knit group. Skarupa added that hockey has been the focus, not the geopolitical factors that exist in South Korea. 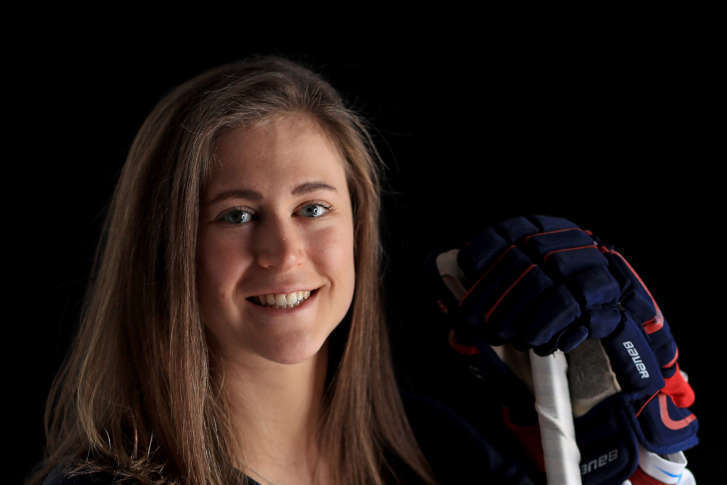 Haley Skarupa and the U.S. women’s hockey team begin playing Sunday, Feb. 11 against Finland.